Former Vice-President, Atiku Abubakar, on Tuesday dismissed criticisms that he was desperate to emerge as Nigeria’s next President in the 2019 presidential election. 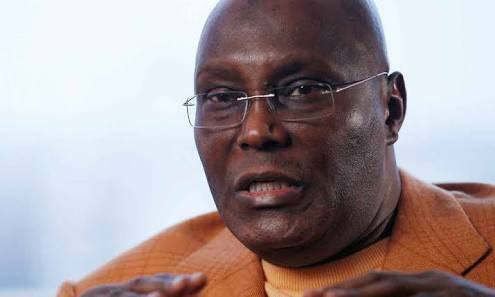 Atiku said despite claims by his critics that he was bent on becoming the nation’s leader, he was qualified to contest the presidential election and had the right ideas to address the challenges affecting the country. The PDP presidential aspirant spoke during his visit to delegates of the Edo State chapter of the PDP to solicit their support ahead of the party’s primary in September. Atiku said, “What do you expect my critics to say? And there is nothing wrong with entering the race. I can run as many times as possible. “I am fit and qualified. I still have ideas that I believe that are going to put this country on the right path. So, what is wrong with running? The former vice-president lamented that Nigeria had suffered retrogression in the last three years. While accusing the ruling APC of being responsible for the loss of nine million jobs since 2015, he noted that the recipes for peace in the country were equity and job creation. He said, “Since the APC came into power, it said it was going to create three million jobs. It has lost three million jobs every year and today, we have 11 million young Nigerians not working.